Bartlett Buie, CPA, P.A. is one of the leading firms in the Myrtle Beach area. By combining our expertise, experience of our staff, we assure that every client receives the and attention they deserve. Our dedication to high standards, hiring of seasoned tax professionals, and work ethic is the reason for our success. Email: judy@bartbuiecpa.com Phone: 843-449-4765 x3101 Education: Judy attended King's College and has a degree in Accounting and Business. Judy has been in public accounting since graduating from King's College. Her first position was with Cherry, Bekaert, and Holland in the Charlotte office where she worked as Office Manager. In 1979 she was promoted to Executive Secretary to Bill Holland, managing partner. 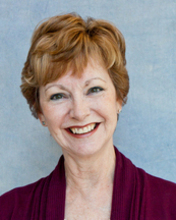 Judy moved to Myrtle Beach in 1988 to join the firm of Bates, Buie, Lindsay, Evans, and Rabon, CPAs. Judy does community service for the Myrtle Beach Women's Club as well as First Baptist Church and the Park HOA Association. Her hobbies and interests include dancing, gardening, and walking on the beach. Email: vicki@bartbuiecpa.com Phone: 843-449-4765 x3106 Education: Vicki attended the University of North Carolina at Wilmington and HGTC, studying accounting and business. Vicki has been with the firm for over twenty years and has been in her current position as payroll administrator since 2002. Her prior work experience involved accounting and office management. 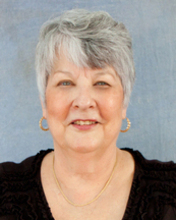 Vicki's interests include spending time with her children, three grandchildren, and two dogs. She also enjoys music, reading, and is an active member of the Blue Star Mothers of Coastal Carolina, a group working in support of our military sons and daughters. 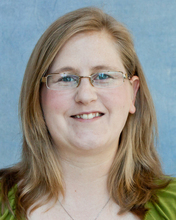 Kristy joined Bartlett Buie, CPA, PA in January 2009. Her experience includes preparation of financial statements and tax preparation in a broad range of industries including construction, retail, and restaurants. Currently she is working with individuals and small business clients in tax planning and preparation of business and personal financial statements. Some of Kristy's hobbies and interests include reading, walking on the beach, and travelling. Email: ree@bartbuiecpa.com Phone: 843-449-4765 x3107 Education: Ree attended Coastal Carolina and studied accounting and finance. 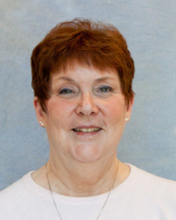 Ree has been a staff accountant since 1979. 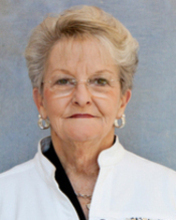 She began working for Bates, Buie, Lindsay, Evans, and Rabon CPA's in late 1979 until 1982. She left for an accounting position with a client of the firm. She returned to the firm in 1987 working for several years until departing to work for a client again. In 2001 Ree returned to work for Bartlett Buie CPA, P.A. and has been a staff accountant since that time. 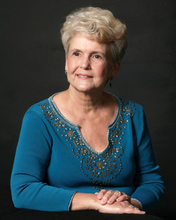 Ree's interests include photography, reading, her grandchildren, and her dogs. Sean lives in Myrtle Beach, SC and enjoys spending time with his wife and two children. He is a deacon and leader of the safety team at Forestbrook Baptist Church. Maureen moved to South Carolina from Maryland 15 years ago. She comes from a banking background. Maureen worked for 10 years for a Washington DC Regional bank in the commercial field and later as vice president of accounting. She relocated to South Carolina to raise her family of three girls. Gene moved to South Carolina in 2015 after serving six years in the Navy. He is studying for the CPA exams and will sit for his first exam later this year. He and his family are members of First United Methodist Church of Myrtle Beach. He enjoys spending time with his wife and son and are expecting another son in December. Lisa joined Bart Buie CPA in 2018. Her background is in the legal field, office work and marketing. She attended Horry-Georgetown Technical College and has her Associates degree in Paralegal. Lisa has been in the Grand Strand area since 1998. She currently lives in Surfside with her husband and several pets. In her spare time she donates her time to several local non-profits including Myrtle Beach Kiwanis Club, Socastee Heritage Foundation and the American Legion Auxilliary Post 40. Education: Fayetteville State University and studied accounting. Freddie began her accounting career in San Antonio, Texas in 1973 working with Alexander Grant and Company, while her husband Butch was stationed at Ft. Sam Houston with the US Army. Butch was transferred to North Carolina and Freddie worked for Cannon & Company from 1975 until 1980. She moved to Ivan Price, CPA in 1980 and worked until the family moved to Myrtle Beach. In 1987 she began working for Bates, Buie, Lindsay, Evans, Rabon, Kinard, and Jascot CPA's until she left with Bart when he began his CPA practice. Freddie is semi-retired and resides in Mocksville, NC. She works for the firm full time during tax season and other times when needed.